Jacky was trying to concentrate on her math homework but she just wasn’t getting anywhere. She looked up at Miranda who was reading a magazine. “Well, we just need to find that particular list, and I’m pretty sure I know just where to find it too,” Miranda’s voice sounded dangerous. “You mean like, everything that happened before I came along? How your head was hurting so badly for years and years, and your hair was falling out? And how your face got practically scrubbed off because someone put permanent marker on your cheek and Heather tried to get rid of it? And through all that, all that suffering, you were always cheerful, always content, always thinking about others, and most important and because you felt and acted that way; you trusted in the Lord and the Lord gave you strength. Philippians 4:11-13: 11I am not saying this because I am in need, for I have learned to be content whatever the circumstances. 12 I know what it is to be in need, and I know what it is to have plenty. I have learned the secret of being content in any and every situation, whether well fed or hungry, whether living in plenty or in want. 13 I can do all this through Him who gives me strength. 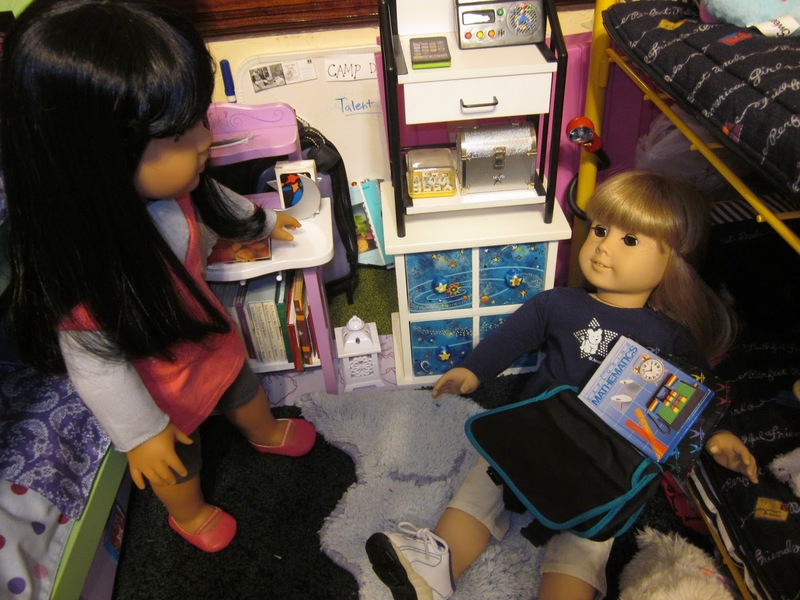 Jacky packed her bag and headed out to the study room with Miranda. They opened the door to find Alison already there. “Not when you know the person…I don’t think,” Miranda muttered, her hands flying over the mouse and keyboard. “They want to hack into Heather’s email and see who’s going on vacation with her for Christmas,” Alison explained. “Look! I got in!” Miranda cried, she started searching for emails about Christmas. She found nothing. And take forever, it did. After two days of searching Miranda still couldn’t find anything. But there were so many lists in those emails she was certain she’d find it somewhere. 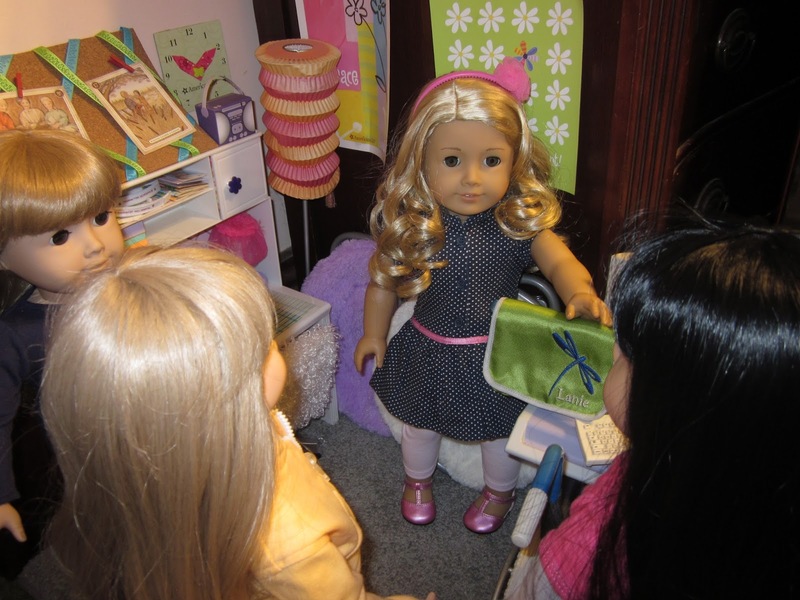 Jacky, Alison and Lanie often visited Miranda just because they were curious themselves. Miranda didn’t feel like she was doing anything wrong or against the law as the other dolls seemed to say. Samantha had never laid a flat rule of no hacking emails, and Heather often shared emails with them, so why should it be bad if she just looked at one little list? Plus, it was kind of fun skimming through these emails. 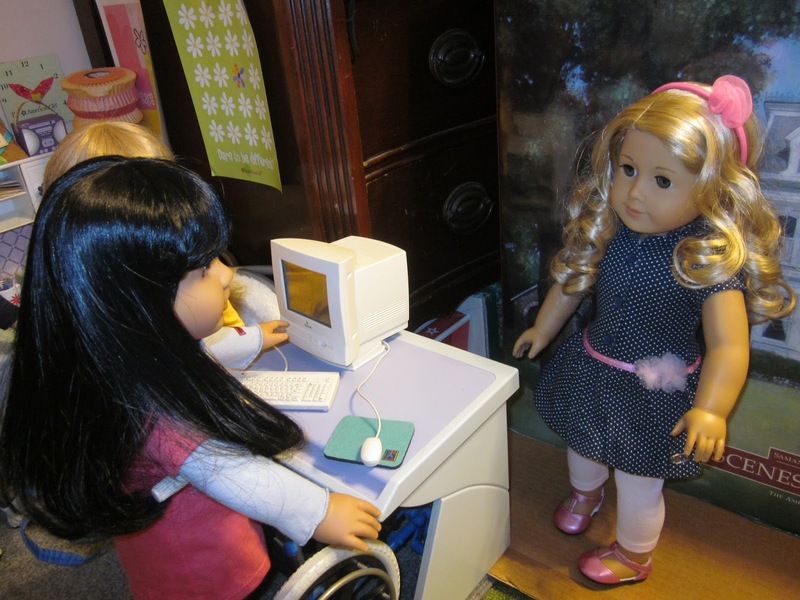 Sometimes the dolls themselves were discussed and even though she already had an idea of how amazing Heather’s aunt was, she was often blown away by what she wrote. She clicked on another email, gave a gasp and screamed! Jacky came running back, Alison and Lanie not far behind. They crowded around the computer. There was silence as the dolls thought about this. It was perfect. It fit all them, every one of them perfectly! And it was such a cute little name, and coming from someone special. “Well, what’s going to happen when she goes to the the blog and reads the new title?”Alison pointed out. 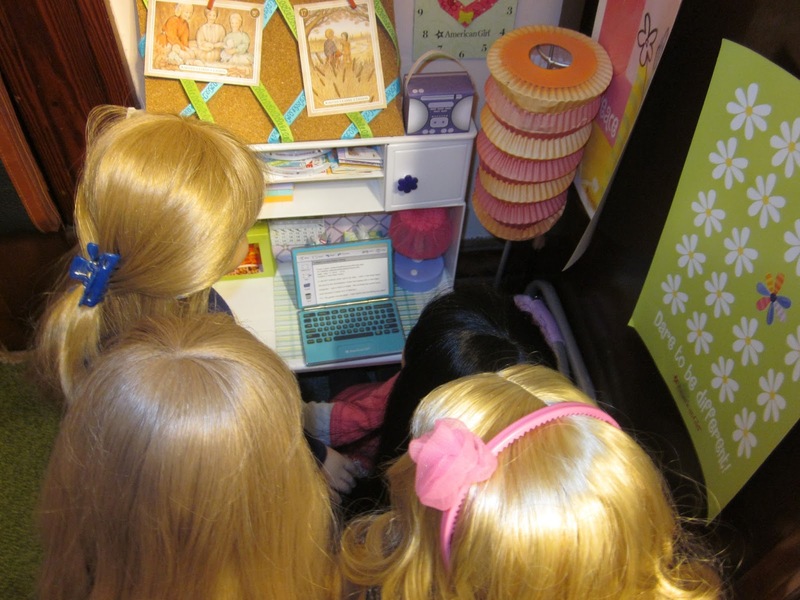 Word spread amongst many of the dolls about this and everyone was in a flurry of excitement and secrets. Miranda most of all since she had two big secrets to keep. One time, Heather came in and said goodnight to Miranda and Miranda found herself avoiding her, something she’d never done before. “Hey Miranda! How are you? What’d you guys do today? Did you have an adventure that got you all tired out? It seems really quiet here. What’s up?” Heather asked. “Mmmmmm, not much,” Miranda hurriedly answered, “just the usual, mostly. Oh I forgot to ask Lanie for something. See ya later.” And she hurried away. That was when she questioned herself. Was this wrong? To go through Heather’s emails? All she wanted was a list. So why hadn’t she just asked Heather straight out for the list when she had the chance? She found herself trying to come up with legitimate excuses, excuses that made sense. She didn’t ask Heather because it was probably a Christmas secret anyway and Heather wouldn’t tell her, so what was the point in asking? Or if she did ask her and she wasn’t on the list, Heather would see her look of disappointment and feel guilty that she wasn’t bringing her. Except, wasn’t that what she wanted anyway? To make her feel guilty if she wasn’t on the list? Or was there something deeper, that she knew deep down she shouldn’t be doing this….shouldn’t be looking into someone else’s private emails, especially Heather’s. Maybe I should stop, she thought but just as she was about to log out and close the computer Jacky walked in. “Ha,” Miranda said weakly. Hmm, so she was persevering and not giving up hope…..sooooo she should still keep doing this, right? She was so sure the list had to be here, and the prospect of giving up made her feel like a failure, worse, even, now that Jacky had said that. Lanie and Alison came in the study room too. But Miranda never got to hear what might happen someday because Heather walked in and stared at the four of them. “Whoa! What’s all this noise? This is the study room! 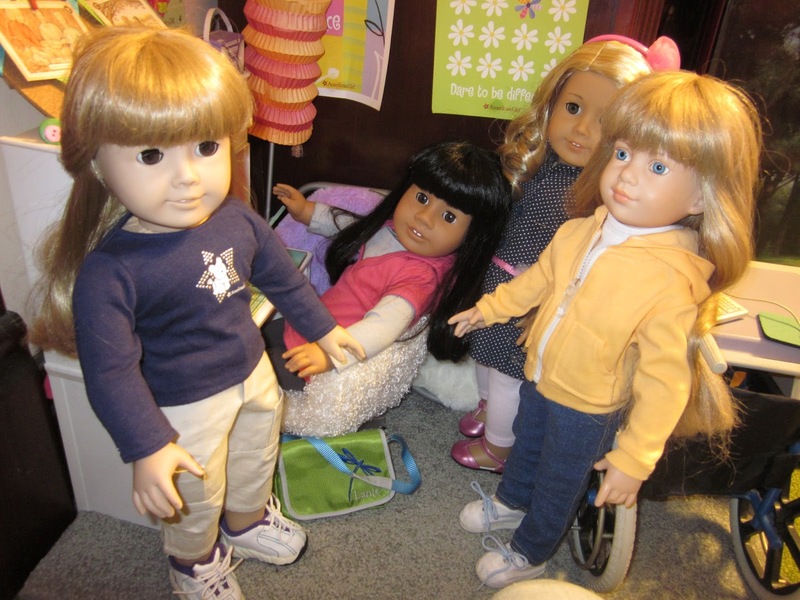 It’s supposed to be the quietest place in the doll room and there are FOUR of you here, where there’s only supposed to be two! What’s going on?” Heather whipped Lanie’s computer out of Miranda’s grasp and held it up to her face. “No! Not at all!! Okay, thanks. I’ll talk to Miranda tonight,” Heather left. She had been warned, but Jacky still felt kind of bad for her. She decided to go to Miranda and talk to her first. Miranda grabbed a laptop she had borrowed from Megan. Jamie Effner just doesn’t/hasn’t ever looked like a Jamie to me or to my aunt. I could never figure out a good name for her. A beautiful name suddenly came to my aunt and she texted it to me. I fell in love with it immediately and it truly fits Jamie perfectly; Annaleis. I have also gotten annoyed that I have two Isabell-ish dolls. I have Isabelle Palmer (GOTY 2016) and Isabella Carpatina. Their names are just too close. Isabelle said she wasn’t willing to change her name. Isabella fell in love with another name my aunt suggested; Willow. And about the doll blog’s name? Well,……I’m not supposed to know about that, right? hahahahaha! Well now! 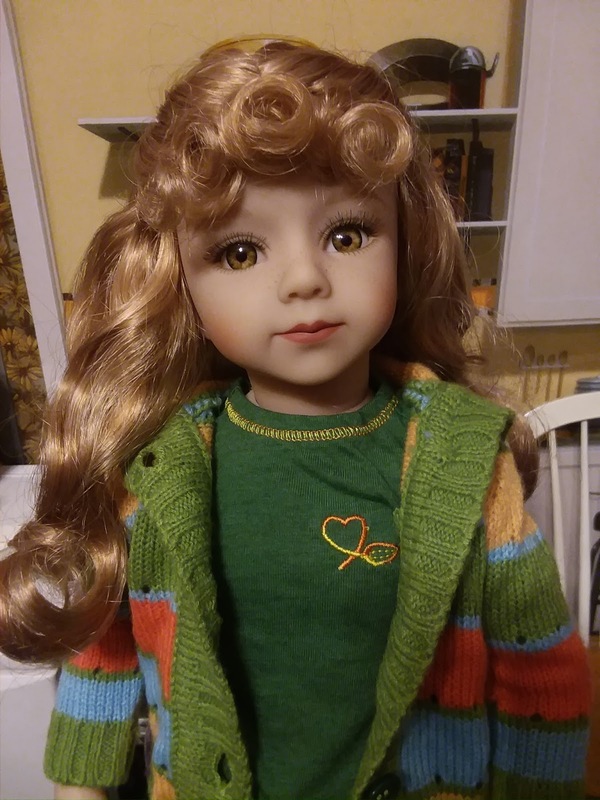 I’m all for renaming dolls halfway through their stories. I’ve done it twice. Can’t wait to see who’s going! Wow, your crew is full of hijinks lately! One of my favorite pictures is the one expressing you coming in the door and them turned to look at you in surprise! I thought your post definitely touched on human nature…which can be sneaky or maybe just too curious 😉. Your trip sounds exciting… I’m picturing a “Ye Olde” Colonial Christmas but who knows what you have in store! Haha! Yes! I think the Colonials will still probably visit Williamsburg, but a bunch of moderns are excited to go to……it’s going to be so hard to chose who!